A major highlight of Hiroshima International Film Festival (HIFF) is the International Short Film Competition. 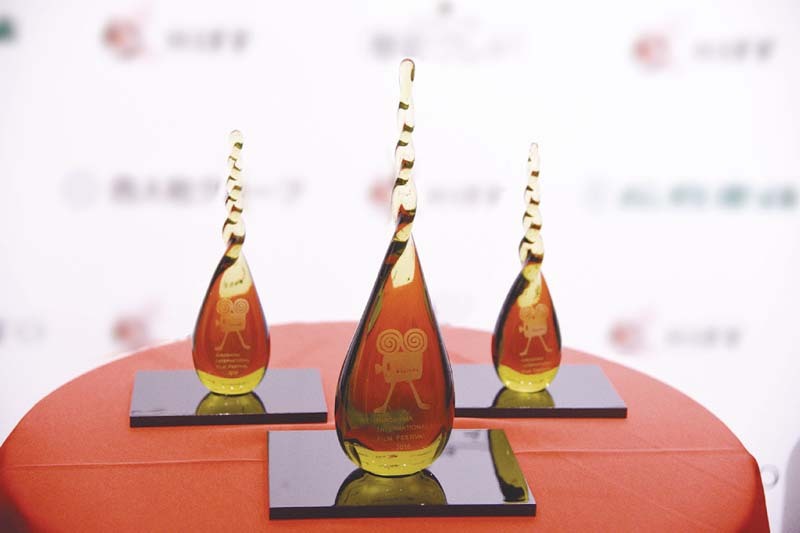 Six nominated titles will compete for the prize of the "Hiroshima Grand Prix Award", the "Jury Award" and the "Audience Award". "Good Afternoon" (2017, Japan, 30 min), directed by Hiroshima-born Director Akira Yamamoto, "Souls of Totality" (2018, America/England, 18 min), directed by Richard Raymond who is a British writer and director based in Los Angeles, and "Let It Be" (2017, Mexico, 23 min), directed by Txema Novelo, who was introduced from GIFF and will present in this competition. "Unforgettable Memory of a Friend" (2018, France/Lebanon, 28 min) was directed by Wissam Charaf, who is from Lebanon, "How Fernando Pessoa Saved Portugal" (2018, Portugal/France/Belgium, 26 min), directed by Eugène Green, who was born in New York and now lives in France, and Spanish Director Elena López Riera's "Those who Desire" (2018, Switzerland/Spain, 24 min). The screenings from various countries is worth seeing. Please also enjoy the talk shows by the directors and producers of each work.